I think we are unique because we are a family owned business. We all work well together and bring that sense of family to our relationships with our actors. Do not get me wrong, it cannot all be daisies and roses, but we all genuinely care for one another and that is the foundation of our agency. We have been in business since 2004; 2007 we took on actors. So 14 years. We look for what we do not have, actors with credits, and that wow factor. BUT Ultimately it boils down to well-trained professionals who are ready to hustle! As mentioned above, the best actors are hustlers. You must constantly be moving to make things happen for yourself. You MUST put in the work! When we see this in an actor, it makes us work harder for them. With so much gratitude, we have had so many! But what comes to mind is one actor in particular, one of his first tapes: he wore a fur and bones around his neck then dimmed the lights for "ambiance." We hung in there with this actor because of our relationship with him and now he is a series regular on a very popular show. It warms my heart to even mention that story. 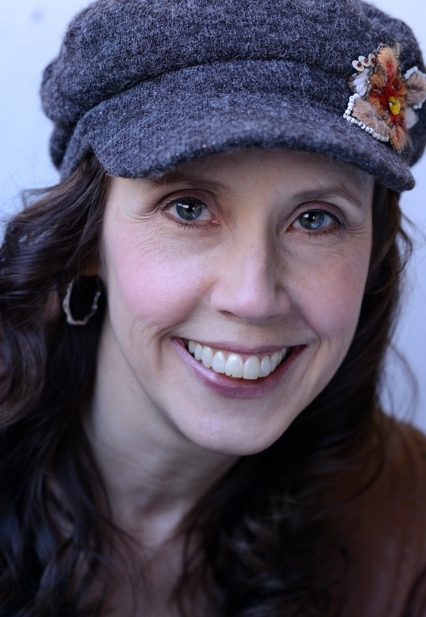 Learn more about Avery Sisters Entertainment on their web page here! Our training is based on the Hero’s Journey. We see our actors as heroes of their own story. When they master their craft great rewards will come. We also like to make sure our actors have opportunities, by using the GET CONNECTED brand, which we have been building for the past , we are able to use our connections in many positive helpful ways. The passion of our teachers has definitely been a big part of making Blank Stage ACting Studios a success. 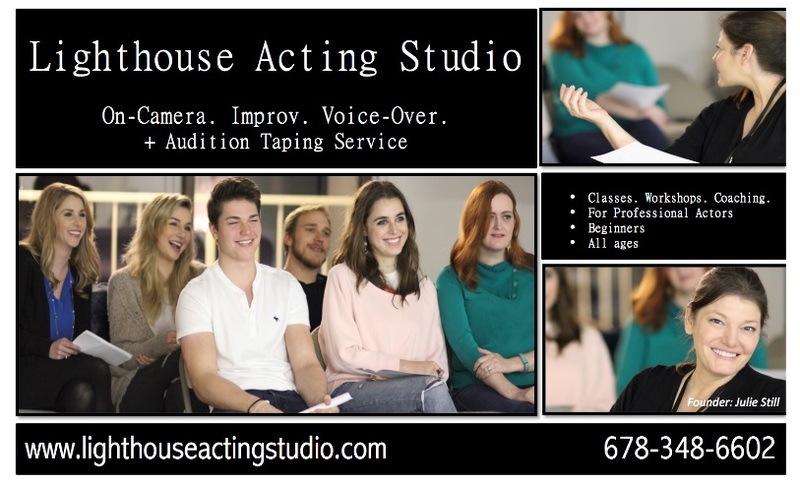 We offer On Camera Audition Technique Classes, acting classes, Improvisation Classes, Voice-Over Classes, Meisner Classes, On Set Classes, skills workshops, Audition tapings and In Studio headshots. You will learn to identify the archetypes in scripts, as well as how to be able to master a cold read, breakdown a script, Think quick on your feet with Improv, stay up to date with the business of acting and network. Blank Stage has been around for more than 10 years doing Improv shows, small classes and productions. However we opened our doors to our current location in January 2017. You can google Blank Stage Acting Studios. On facebook by using @blankstageactingstudios, on instagram by using blank.stage.acting.studios. 6) What’s near you? (a park, a bar/restaurant, a monument--fill us in). We are located on Hwy 92, half a mile from the First Baptist Church of Woodstock, and 1 mile from Buffalo’s Cafe, and other shops. 1.) What makes you unique as an agency? I think the agencies in Atlanta have a lot more in common than we have differences. We are all working to raise the standard of the Atlanta and Southeast market as a whole to be on par with what is going on in the traditional powerhouses of New York and LA. Maybe one thing that makes PT a bit different is the competitive nature that Corey and I bring to the business. We've both been training and competing from a very young age and I think bringing that mentality to running an agency has worked in our favor. 2.) How long have you been in business? We've been in business just over 5 years. 3.) What do you look for in an actor who is seeking representation with you? With our roster being relatively small, we are always looking to add where we feel like we have a deficit on our roster. It is much easier for someone 50+ to gain traction when seeking representation with us than it would be for someone who is, say, in their 20s. Having a unique skill set such as weapons training or speaking multiple languages never hurts either. Being a strong, smart, well trained actor is always the most important thing however so get in class! 4.) What is your best piece of advice for actors working in the SE? Treat this like a business and not a hobby. Find a way to work on it every day. Get in class, network, create your own content if you have no other outlet. 5.) Share a success story with us. Keep in mind it can be for you as an agent or specific to a client and their journey. It always feels good to get someone their first booking, particularly when that person is struggling financially. I will never forget we had a guy who hustles harder than just about anyone else we work with; he never makes excuses, always shows up when being in person is an option. This guy had a callback for SAG commercial in North Carolina and on the way his car broke down. He ended up walking in the rain to get to a bus station to make the rest of the trip. Making the call to let him know he booked was soul-filling, that sort of thing sticks with you. Learn more about Privilege Talent Agency on their website here! 1) What makes you unique as an agency? There are many things that I think are special about East Coast Talent. For one, our agency really tries to act like a "family" and provide support to one another -- often pitching in to help with taping auditions or working on independent projects with a fellow agency mate. I don't view being the owner as "my job" because it is really more of a passion for me. I'd do it whether it made money or not -- and, since a percentage of actors never make their agency any real money, that's probably a big plus! I have been the owner/agent for a little over a decade. The agency is a little older than that. We had a big 10th Anniversary celebration last year! Obviously, we all look for "talent." But there are plenty of talented people in the world who don't have an agent. I want to see evidence that they will work hard and provide me with the professional tools (headshot, reel, resume, etc.) that I absolutely must have in order to represent them well. And, I'm not just looking for the drop dead gorgeous people -- I'd love to see more "plus size" actors, as well as actors with a "face that only a mother could love!" Many people know that I represent Chandler Riggs, the "child star" of The Walking Dead. He was a Georgia kid who booked right from here. He has been with our agency since the very beginning and his whole story is one of great success. That's usually who people ask me about. But one actor that you WILL be hearing about over the next few years is Jack Champion. Jack is a great kid who lives in North Carolina. Jack self taped for a big movie and (after several callbacks, tests, etc) landed a very nice role in the upcoming Avator movies. Within a few weeks, he and his mom landed in Los Angeles and it's been a whirlwind ever since. This is a life changing booking -- and he is from a little town in the southeast, not from LA or NY. We have long been told that no one can really book those "big roles" outside of Hollywood, but I think our southeastern region is changing that opinion, especially for the youth market. I mention these two young men because I want to point out that it was not only life-changing and career-changing for the actors, but for their families. Parents had to leave/modify their employment and make drastic changes to their lifestyles -- often with very little time to do so. I'm not just proud of the two young actors-- I'm very proud of how well their parents have managed! Learn more about East Coast Talent here on their website! Our culture is approachable and relational, and we’re intentionally not a large agency. Improv-ability, credited, or in a much needed demographic, referrals and/or training from respected sources. We also love theatre actors. Have a sustainable income outside of acting so you can be liberated in the process and can do what you must to move the needle for your career. One of my best stories speaks to the question of “how many people do you rep?” or “how many people like me do you have?”. A client we represent brought in a headshot for a friend, who happened to be in a loaded demographic, where there are always so many options. I indicated that I had plenty in that demographic and that we were leading the market in that arena. For a number of reasons, I took the headshot and we did an in person audition w/ the performer, who was the best person we saw all day in new talent auditions, and who subsequently became a rock star for the agency. So the success is clear but the point is that a great person can truly make a place for themselves, so don’t give up or even be discouraged if it takes a bit to be seen. Learn more about Houghton Talent on their website: click here! What make us unique is our ability to forge lasting and meaningful relationships. Our top priority has always been to fight for our clients, to guide them in every aspect of their career in order to help them achieve their goals. We do this by utilizing our relationships with casting directors all across the country, by staying at the forefront of technological advancement, and by thinking outside the box. We were the first agency in Atlanta to join the Association of Talent Agents (ATA) and over the years have developed relationships with agencies and managers in other markets to broaden opportunities for our clients. Additionally, we pride ourselves on our warm and welcoming company for both our clients and our staff and it is this balance of smart and tough business dealings and warm family environment that makes us so unique. We love our People Store family, our valued colleagues around the country, and of course helping our clients achieve their wildest career dreams here in Atlanta and worldwide. We have been in business in Atlanta since 1983, and to say that we have been here a long time would be an understatement. Atlanta is our home, and it is this stability, consistency, and commitment to Atlanta which casting directors and agents around the world have come to associate with People Store. We are looking for, first and foremost, talent. Innate talent, that natural ability and charisma that you feel when an actor walks into a room for the first time. You know it when you see it, or at least we do! We want clients at the top of their game, in skill, training, and savvy to the modern business world of acting; actors ready to work, to do their own part for their own careers, and willing to trust us to do our part in taking them to the next level. 4. What is your best piece of advice for actors working in the South East? Our best advice for actors in the South East is to stay here! With all of the movies and TV shows shooting here in Atlanta, we are on the cusp of something truly exciting in the industry. People Store is committed to making Atlanta the arts hub we know it can be, and it’s going to take talented actors to help make that dream a reality. Actors are finding more and more opportunity right here. It’s not like it used to be, you don’t have to go out to LA to find work, LA talent is coming here to get cast, and as our region continues to grow our local talent will continue to flourish. It is tough to pin down one specific story, with so many series regulars and consistently working actors on our roster, we have been extremely fortunate. We are just as excited when a young talent books their first credit as we are booking a lead in a major motion picture. A wonderful example would be someone like Shannon Purser. We saw her at a talent showcase and brought her on. Her very first booking earned her an Emmy nomination for Stranger Things, internet fame, and she has worked consistently since then. There is so much talent here in Atlanta, and it is a joy for us to find it, cultivate its growth, and ultimately help them achieve their dreams! Atlanta Models & Talent, Inc. is the oldest agency in the southeast and has been representing talent since 1959. Since its inception, AMT has been purchased and lead by a few different industry professionals (Beverly Needle Copen, the first ever film representative in office under Jimmy Carter, Edith Ivey, actress and renowned acting teacher, and Kathy Hardegree, the first ever GA agent honored with the SAG Agent of the Month award) but never stopped growing as an agency and evolving with the work that has found its way to this region. Sarah Carpenter, the current owner, continues that tradition with her staff of agents and associates, consistently booking talent in almost all productions that shoot in the southeast. 2. What makes you unique as an agency? Besides our deep-rooted history, what makes AMT unique is our hard-work, dedication, and support for actors in Georgia and beyond. We’re not interested in waiting around for casting directors – AMT agents and associates work effectively and efficiently to give our clients the best, most realistic opportunities. Every step of the way, from submission to booking, our clients and their unique skills, materials, credits, and connections are utilized to allow them to stand out to casting and eventually, be the undeniable choice for casting/producers when the time comes to fill that role. Ultimately, AMT's goal is to continue to show other markets how competitive Atlanta actors can be. As the market continues to grow and as more and more actors begin to move to Atlanta to take advantage of that, AMT has definitely become more selective with who we consider adding to our roster. In potential clients, we look for actors/models who have unique looks or skills, while considering the looks and skills of clients we already represent. Finally, we prefer representing clients who are solidly based in the southeast area. Focus your energy right here, right now in the booming southeast market. While competition is rapidly growing, it's a mere fraction to that of the larger markets, such as NY or LA. There are several realistic opportunities to land paid work as a an actor in the southeast, and to build a reputable resume while expanding the network of "who knows YOU." Those who want it bad enough, through education, talent, and persistence, are destined to do well here. An AMT client who was still quite new to the market at the time got an audition for an unnamed, 2-line co-star role for a popular series. The actor submitted an incredibly grounded and real audition, and booked the role right off tape. Next thing you know, the co-star role is recurring, has a full name in the credits, and a whole story arc opposite the leads in the network TV show. Long story short, even the smallest roles can launch a career and you'll never know, unless you audition! Learn more about Atlanta Models & Talent here! Almost 85 percent of my work comes from headshots, portraits, lifestyle, and commercial photography. I have been fortunate to have experienced longevity with my clients that have carried over into engagement, wedding, newborn, and family photos. Most recently have shot photography/key art for film and theatre. I also do all the hair and makeup for my clients as well. Accountability is key and my work is guaranteed. 2. What makes your work a stand out in the Southeast? Having been in the industry for over 30 plus years working as a performer has given me great insight of what is needed in a headshot. Whoever you are, novice or star, NY to LA., the standard of my work remains the same, top level. When I first started shooting some 20 plus years ago, my goal was to become the photographer I wanted to go to. Trust, collaboration, and enjoying the experience is key. Barbara’s headshots breathe. (A description of my photos from the head of HBO). 3. What is the best backdrop or shoot location for you? I love what natural light does for the eyes however, I also use studio and other lighting to create new moods and effects. I am always adding new textures and backgrounds to highlight the direction of where we are going with each individual client. I am blessed with a wonderful home studio that makes shooting relaxed and convenient. 4. What do actors need to do to make a really great headshot? Number one is trusting the photographer you select and being prepared. I offer a consultation, phone call, or coffee meeting to discuss where you are at in your career and what you are looking to achieve. Referrals make up most of my sessions here and in Los Angeles. My last session is my next calling card. 5. How long have you been operating? I fell into shooting some 20 plus years ago while working on the Paramount lot as an actress. The publicity department was in a meeting agonizing over the fact that 4 well known photographers missed the mark on the star’s publicity shots. While the shot was being passed around and they were ordering yet another photoshoot I mentioned whoever they get this time - they needed to capture the star’s heart and the designer clothes were unimportant. After another failed shoot, I grabbed a couple of rolls of film and sat him down and photographed him. My first shots ended up on the cover of the LA and NY Calendar Magazine…and my photo journey began. I have also had the privilege of shooting for a few of the top entertainment publicity firms in LA. 6. How do I find you?